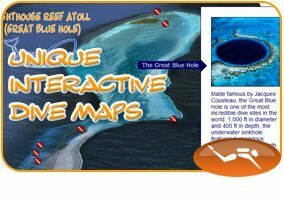 Many say that snorkeling Hol Chan is as impressive as snorkeling the best spots in the world. 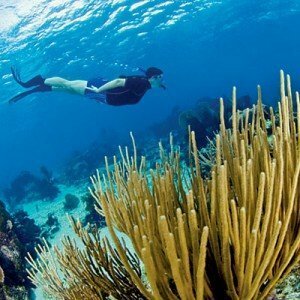 Perhaps for this reason Hol Chan is considered the most popular snorkel site in Belize. Just about 4 miles south of San Pedro Town, or a short 15 minute boat ride, Hol Chan, Mayan for “little Channel” and “quebrado” in Spanish, is home to over 160 species of fish, along with nearly 40 species of corals, 5 sponges, 8 algaes, 2 seagrasses, 3 marine mammals and 3 species of sea turtle. 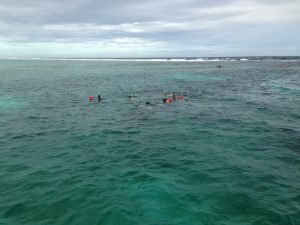 Schools of jacks, groupers & snappers come to greet their new guests, as you are guided off to the channel’s edge where vibrant coral forms crevices and an overhang where green eels and lobsters dwell. Your next adventure is at Shark Ray Alley, lying just 3 minutes from Hol Chan. Here, Nurse Sharks and Southern Stingrays politely greet you as you arrive to visit them. 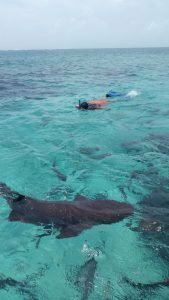 At Shark Ray Alley, not only will you feel the excitement and novelty of swimming with large numbers of nurse sharks and sting rays, you will swim with schools of fish that congregate there to feed. 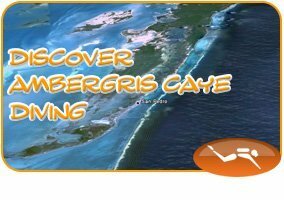 Perfect for the inexperienced, this tour offers all of the beauty the Caribbean hasto show in shallow waters, white sands, and up to 100 feet of visibility. Included: Guide, Snorkel Gear, Water and refreshments onboard. Price: $55.00 per person. $10us per person park fee due upon trip check in.